SustainableWork: Local foods year-round. Innovation Kitchens has the model. Local foods year-round. Innovation Kitchens has the model. Innovation Kitchens provides local foods year-round. Chefs and food service pros can order our fresh-frozen, farm identified local ingredients any time of the year. Here's a nice photo and post from our friends at Thrive foodery in Wausau, WI. 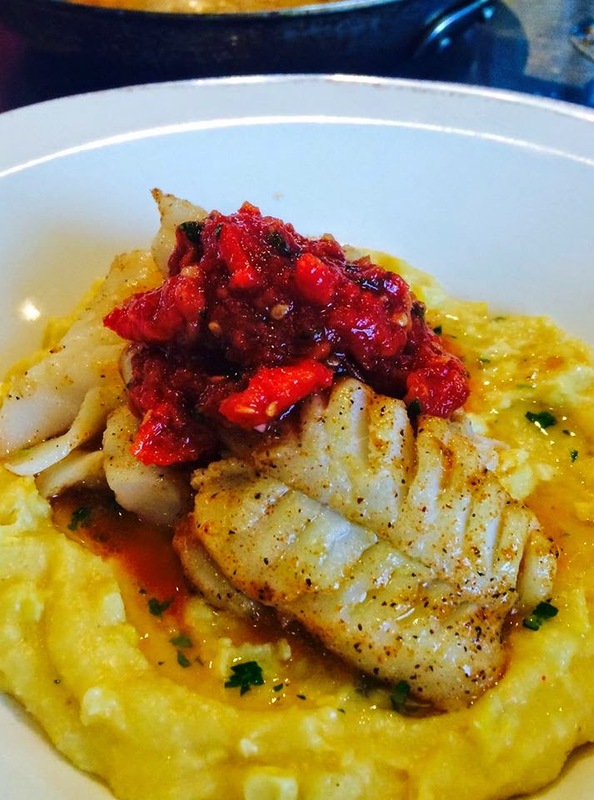 "Tonight we have Fresh Pacific Cod served with Wisconsin Sweet Corn Polenta finished with a Double Tomato Bruschetta. Thank you to our friends at Innovation Kitchens LLC for providing us with some beautiful produce!" We've developed a smart new business plan for local and specialty foods year-round that focuses on supporting family farms. Chefs and food service pros can order our fresh-frozen, farm-identified local ingredients any time of the year. The 2015 harvest is coming up. Does your organization want to increase it's offering of local foods year-round? Let's talk. Thanks Chef Elizabeth at Thrive foodery!